Smartoffice S.r.l with registered office in Via Vincenzo Monti n. 8 – 20123 – Milano, is owner of the site www.smartoffica.it/com/eu. The contract between Smartoffice and the Customer will be settled with the acceptance, even if only partial, of the order by Smartoffice S.r.l. This acceptance is automatic, unless in any way otherwise communicated to the Customer. By placing an order in one of the various ways, the Customer agrees that he has understood all the information provided to him during the purchase procedure and fully accepts the general terms and conditions of payment. The receipt of the order will be confirmed by Vinozio.com via an e-mail response, sent to the address communicated by the Customer. This confirmation message will include an Order Number, to be used in all other communication with Vinozio.com. The message will include all of the details entered by the Customer which he must check. Corrections of any inaccuracies must be promptly communicated. In case of the order not being accepted, Smartoffice guarantees to inform the Customer promptly. Smartoffice S.r.l. will issue an invoice of delivered goods, sending it via e-mail to the Customer, in accordance with Art. 14 D.P.R. 445/2000 e DL 52/2004. For the issue of the invoice, only the information provided by the Customer at time of order will be attested. No variation in invoice will be possible after its issue. The purchases made on Vinozio.com, as with all distance purchases via telephone or post, since they are made outside of business premises, are protected by Decree LGS. 21/2014, which allows the Customer to exercise his right of withdrawal. The Customer can exercise his right of withdrawal within a period of 14 working days after receiving the goods. This right consists of the ability to return the purchased good to the supplier without any penalty and without specifying the reason, with the resulting reimbursement of the price of the purchase, minus the amount paid for shipping when the product was first delivered. The right of withdrawal applies to natural persons acting for purposes not related to his professional activity. Therefore, purchases made by retailers or companies are not subject to the right of withdrawal, i.e. those orders where a reference to VAT has been made in the form. The right of withdrawal is exercised by sending, within the pre-agreed term of 14 working days after receiving the goods, a letter with acknowledgement of receipt addressed to: Smartoffice S.r.l. – Via Vincenzo Monti 8, 20123 – Milano. 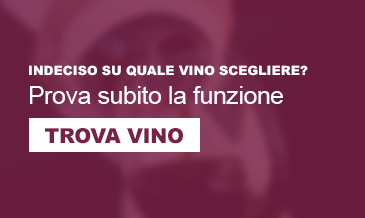 The communication may also be sent, within the same period, via telegram or email to info@vinozio.com, on the condition that it is confirmed via postal letter with acknowledgement of receipt within the following 48 hours. This communication must contain the codes of the products that you intend to return, as well as details on the way in which you would like the purchase to be reimbursed (money order, store credit, etc.) and your bank details. The products subject to reconsideration must be returned by the Customer, under the terms of substantial integrity, to the address specified by Smart Ottica when the right of withdrawal phase was first initiated. damage to the product caused by anything apart from its transport. Once the item is received and its integrity verified, within 14 days the price paid by the Customer for the returned product will be reimbursed, minus the total costs of delivery which are always paid by the Customer. Smartoffice s.r.l. reserves the right to withhold the reimbursement until it receives the product or until the Customer demonstrates that the product has been sent. Within 14 days of the date in which the purchaser has communicated his wish to back out, he must return the good in full working condition. The product may be returned with whichever mail courier you choose. We strongly advise you to return the product via registered mail or with postal tracking and, if need be, to take out postal insurance to the commercial value of the returned products in order to protect yourself in case of loss or damage. Upon delivery, the purchaser must check the product and if he discovers problems or defects he must report them to the seller within 2 days of purchase. In case of defect, Vinozio will replace the product. The risk of loss or damage is automatically transferred to the purchaser when he (or a third party appointed by the purchaser that is not the courier) acquires physical possession of the goods. The time of the replacement of the product depends exclusively on the policies of the manufacturer and no damages can be requested of Smartoffice S.r.l. for eventual delays in replacements. The contract of sale between the Customer and Smartoffice S.r.l is concluded in Italy and is governed by Italian Law. For the resolution of any problems, be they civil or penal, that derive from the conclusion of the present contract of sale at distance; if the Customer is a consumer, the governing territory is that of the court of his town of residence; in all other cases, the governing territory is exclusively that of the Court of Milan. Any complaints must be directed to SmartOffice S.r.l. – Via Vincenzo Monti 8, 20123 – Milano.